Rafael Film Center - WON'T YOU BE MY NEIGHBOR? For over 30 years, Fred Rogers, an unassuming minister, puppeteer, writer and producer, used his program Mister Rogers’ Neighborhood to communicate with America’s children about some of life’s weightiest issues. This charming (and disarming) documentary by Oscar-winner Morgan Neville (Twenty Feet from Stardom) reveals how the soft-spoken, cardigan-wearing TV host’s career represented a coherent view of how to speak to children about important matters and how to use television as a positive force. Neville’s film illustrates Rogers’ legacy with impressive clips as well as extensive interviews with family and associates. 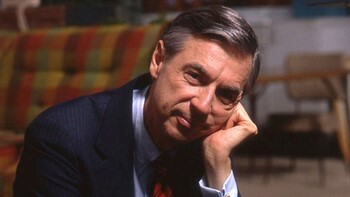 When it’s over, you’ll agree that there hasn’t been anyone like Mr. Rogers on television before or since. Producer/Director: Morgan Neville. (US 2018) 93 min.